The Imperial Japanese Army (IJA; 大日本帝國陸軍Dai-Nippon Teikoku Rikugun; "Army of the Greater Japanese Empire") was the official ground-based armed force of the Empire of Japan from 1868 to 1945. It was controlled by the Imperial Japanese Army General Staff Office and the Ministry of the Army, both of which were nominally subordinate to the Emperor of Japan as supreme commander of the army and the navy. Later an Inspectorate General of Aviation became the third agency with oversight of the army. During wartime or national emergencies, the nominal command functions of the emperor would be centralized in an Imperial General Headquarters (IGHQ), an ad-hoc body consisting of the chief and vice chief of the Army General Staff, the Minister of the Army, the chief and vice chief of the Naval General Staff, the Inspector General of Aviation, and the Inspector General of Military Training. The Imperial Japanese Army General Staff Office, also called the Army General Staff, was one of the two principal agencies charged with overseeing the Imperial Japanese Army. The Army Ministry, also known as the Ministry of War, was the cabinet-level ministry in the Empire of Japan charged with the administrative affairs of the Imperial Japanese Army (IJA). It existed from 1872 to 1945. 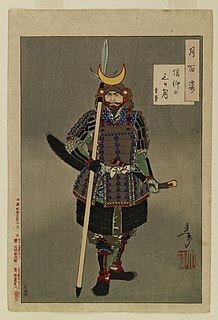 In the mid-19th century, Japan had no unified national army and the country was made up of feudal domains (han) with the Tokugawa shogunate (bakufu) in overall control, which had ruled Japan since 1603. The bakufu army, although large force, was only one among others, and bakufu efforts to control the nation depended upon the cooperation of its vassals' armies. The opening of the country after two centuries of seclusion subsequently led to the Meiji Restoration and the Boshin War in 1868. The domains of Satsuma and Chōshū came to dominate the coalition against the shogunate. Sakoku was the isolationist foreign policy of the Japanese Tokugawa shogunate under which relations and trade between Japan and other countries were severely limited, nearly all foreign nationals were barred from entering Japan and common Japanese people were kept from leaving the country for a period of over 220 years. 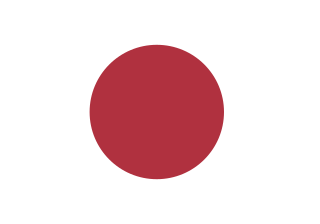 The policy was enacted by the Tokugawa shogunate under Tokugawa Iemitsu through a number of edicts and policies from 1633–39, and ended after 1853 when the American Black Ships commanded by Matthew Perry forced the opening of Japan to American trade through a series of unequal treaties. Prince Tokugawa Yoshinobu was the 15th and last shōgun of the Tokugawa shogunate of Japan. He was part of a movement which aimed to reform the aging shogunate, but was ultimately unsuccessful. After resigning in late 1867, he went into retirement, and largely avoided the public eye for the rest of his life. The Second French Empire, officially the French Empire, was the regime of Napoleon III from 1852 to 1870, between the Second Republic and the Third Republic, in France. The Tōkaidō road (東海道), which roughly means "eastern sea route," was the most important of the Five Routes of the Edo period in Japan, connecting Kyoto to Edo. Unlike the inland and less heavily travelled Nakasendō, the Tōkaidō travelled along the sea coast of eastern Honshū, hence the route's name. Tōsandō is a Japanese geographical term. It means both an ancient division of the country and the main road running through it. It is part of the Gokishichidō system. It was situated along the central mountains of northern Honshu, Tōhoku region. San'indō (山陰道) is a Japanese geographical term. It means both an ancient division of the country and the main road running through it. San'in translates to "the shaded side of a mountain", while dō, depending on the context, can mean either a road, or a circuit, in the sense of delineating a region. This name derives from the idea that the northern side of the central mountain chain running through Honshū was the "shaded" side, while the southern side was the "sunny" side. The pre-modern region corresponds for the most part with the modern conception of the San'in region. A rōnin was a samurai without a lord or master during the feudal period (1185–1868) of Japan. A samurai became masterless upon the death of his master, or after the loss of his master's favor or privilege. The koku(石) is a Japanese unit of volume, equal to ten cubic shaku. In this definition, 3.5937 koku equal one cubic metre, i.e. 1 koku is about 278.3 litres. The koku was originally defined as a quantity of rice, enough rice to feed one person for one year. A koku of rice weighs about 150 kilograms. In March 1871, the War Ministry announced the creation of an Imperial Guard (Goshinpei) of six thousand men,  consisting of nine infantry battalions, two artillery batteries and two cavalry squadrons. The emperor donated 100,000 ryō to underwrite the new unit, which was subordinate to the court. It was composed of members of the Satsuma, Chōshū and Tosa domains, who had led the restoration. Satsuma provided four battalions of infantry and four artillery batteries; Chōshū provided three battalions of infantry; Tosa two battalions of infantry, two squadrons of cavalry, and two artillery batteries. For the first time, the Meiji government was able to organize a large body of soldiers under a consistent rank and pay scheme with uniforms, which were loyal to the government rather than the domains. 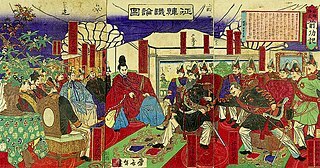 The Imperial Guard's principal mission was to protect the throne by suppressing domestic samurai revolts, peasant uprisings and anti-government demonstrations. The possession of this military force was a factor in the government's abolition of the han system. Initially, because of the army's small size and numerous exemptions, relatively few young men were actually conscripted for a three-year term on active duty. In 1873, the army numbered approximately 17,900 from a population of 35 million at the time; it doubled to about 33,000 in 1875. The conscription program slowly built up the numbers. 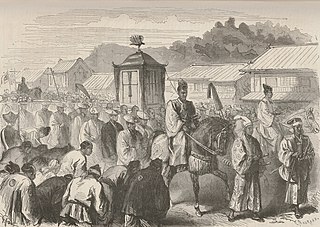 Public unrest began in 1874, reaching the apex in the Satsuma Rebellion of 1877, which used the slogans, "oppose conscription", "oppose elementary schools", and "fight Korea". It took a year for the new army to crush the uprising, but the victories proved critical in creating and stabilizing the Imperial government and to realize sweeping social, economic and political reforms that enabled Japan to become a modern state that could stand comparison to France, Germany, and other European powers. 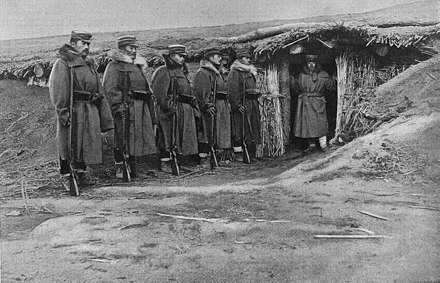 The early Imperial Japanese Army was developed with the assistance of advisors from France,  through the second French military mission to Japan (1872–80), and the third French military mission to Japan (1884–89). However, after France's defeat in 1871 the Japanese government switched to the victorious Germans as a model. From 1886 to April 1890, it hired German military advisors (Major Jakob Meckel, replaced in 1888 by von Wildenbrück and Captain von Blankenbourg) to assist in the training of the Japanese General Staff. In 1878, the Imperial Japanese Army General Staff Office, based on the German General Staff, was established directly under the Emperor and was given broad powers for military planning and strategy. During 1917–18, Japan continued to extend its influence and privileges in China via the Nishihara Loans. During the Siberian Intervention, following the collapse of the Russian Empire after the Bolshevik Revolution, the Imperial Japanese Army initially planned to send more than 70,000 troops to occupy Siberia as far west as Lake Baikal. The army general staff came to view the Tsarist collapse as an opportunity to free Japan from any future threat from Russia by detaching Siberia and forming an independent buffer state. The plan was scaled back considerably due to opposition from the United States. In July 1918, the U.S. President, Woodrow Wilson, asked the Japanese government to supply 7,000 troops as part of an international coalition of 24,000 troops to support the American Expeditionary Force Siberia. After a heated debate in the Diet, the government of Prime Minister Terauchi Masatake agreed to send 12,000 troops, but under the command of Japan, rather than as part of an international coalition. Japan and the United States sent forces to Siberia to bolster the armies of the White movement leader Admiral Aleksandr Kolchak against the Bolshevik Red Army. Once the political decision had been reached, the Imperial Japanese Army took over full control under Chief of Staff General Yui Mitsue; and by November 1918, more than 70,000  Japanese troops had occupied all ports and major towns in the Russian Maritime Provinces and eastern Siberia. In the 1920s the Imperial Japanese Army expanded rapidly and by 1927 had a force of 300,000 men. Unlike western countries, the Army enjoyed a great deal of independence from government. 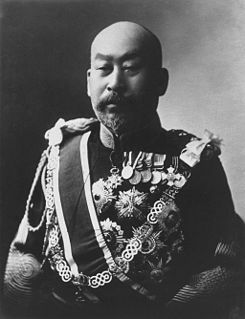 Under the provisions of the Meiji Constitution, the War Minister was held accountable only to the Emperor (Hirohito) himself, and not to the elected civilian government. In fact, Japanese civilian administrations needed the support of the Army in order to survive. The Army controlled the appointment of the War Minister, and in 1936 a law was passed that stipulated that only an active duty general or lieutenant-general could hold the post. As a result, military spending as a proportion of the national budget rose disproportionately in the 1920s and 1930s, and various factions within the military exerted disproportionate influence on Japanese foreign policy. In 1941, the Imperial Japanese Army had 51 divisions  and various special-purpose artillery, cavalry, anti-aircraft, and armored units with a total of 1,700,000 men. At the beginning of the Second World War, most of the Japanese Army (27 divisions) was stationed in China. A further 13 divisions defended the Mongolian border, due to concerns about a possible attack by the Soviet Union. From 1942, soldiers were sent to Hong Kong (23rd Army), the Philippines (14th Army), Thailand (15th Army), Burma (15th Army), Dutch East Indies (16th Army), and Malaya (25th Army). By 1945, there were 5.5 million men in the Imperial Japanese Army. Article 9 of the Japanese Constitution renounced the right to use force as a means of resolving disputes. This was enacted by the Japanese in order to prevent militarism, which had led to conflict. However, in 1947 the Public Security Force was formed; later in 1954, in the early stages of the Cold War, the Public Security Force formed the basis of the newly created Ground Self-Defense Force. Although significantly smaller than the former Imperial Japanese Army and nominally for defensive purposes only, this force constitutes the modern army of Japan. Gensui Count Terauchi Masatake, GCB, was a Japanese military officer, proconsul and politician. He was a Gensui in the Imperial Japanese Army and the 9th Prime Minister of Japan from 9 October 1916 to 29 September 1918. Ōmura Masujirō was a Japanese military leader and theorist in Bakumatsu period Japan. He was the "Father" of the Imperial Japanese Army, launching a modern military force closely patterned after the French system of the day. The Boshin War, also known as the Japanese Revolution, was a civil war fought in Japan between the ruling Tokugawa Shogunate and supporters of the Imperial Court from 27 January 1868 to 27 June 1869. The Satsuma-Chōshū Alliance, or Satchō Alliance was a military alliance between the feudal domains of Satsuma and Chōshū formed in 1866 to combine their efforts to restore Imperial rule and overthrow the Tokugawa shogunate of Japan. The Meiji oligarchy was the new ruling class of Meiji period Japan. In Japanese, the Meiji oligarchy is called the domain clique. The Chōshū Domain was a feudal domain of Japan during the Edo period (1603–1867). It occupied the whole of modern-day Yamaguchi Prefecture. The capital city was Hagi. The name Chōshū was shorthand for Nagato Province. The domain played a major role in the Late Tokugawa shogunate. It is also known as the Hagi Domain. The Battle of Toba–Fushimi occurred between pro-Imperial and Tokugawa shogunate forces during the Boshin War in Japan. The battle started on 27 January 1868, when the forces of the shogunate and the allied forces of Chōshū, Satsuma and Tosa Domains clashed near Fushimi, Kyoto. The battle lasted for four days, ending in a decisive defeat for the shogunate. The Japanese invasion of Manchuria began on 19 September 1931, when the Kwantung Army of the Empire of Japan invaded Manchuria immediately following the Mukden Incident. After the war, the Japanese established the puppet state of Manchukuo. Their occupation lasted until the Soviet Union and Mongolia launched the Manchurian Strategic Offensive Operation in 1945. The Meiji Restoration, also known as the Meiji Renovation, Revolution, Reform, or Renewal, was an event that restored practical imperial rule to the Empire of Japan in 1868 under Emperor Meiji. Although there were ruling emperors before the Meiji Restoration, the events restored practical abilities and consolidated the political system under the emperor of Japan. ↑ Jansen 2002, p. 60. ↑ Drea 2009, p. 8. ↑ Jaundrill 2016, p. 86. 1 2 Jaundrill 2016, p. 87. 1 2 3 Ravina 2004, p. 154. 1 2 3 4 5 6 7 Drea 2009, p. 10. 1 2 Drea 2009, p. 19. 1 2 3 Drea 2009, p. 20. ↑ Jansen 2002, p. 343. ↑ Jaundrill 2016, p. 96. ↑ Jansen 2002, p. 397. 1 2 3 4 5 6 Drea 2009, p. 29. 1 2 3 Jaundrill 2016, p. 95. ↑ Drea 2009, p. 23. 1 2 3 4 5 6 Drea 2009, p. 24. 1 2 Jaundrill 2016, p. 107. ↑ Harries & Harries 1994, pp. 22–29. ↑ Harries & Harries 1994, pp. 20–24. ↑ Harries & Harries 1994, p. 363. ↑ Harries & Harries 1994, p. 28. 1 2 3 4 Olender 2014, p. 42. ↑ Olender 2014, p. 43. 1 2 3 4 5 Olender 2014, p. 44. ↑ Olender 2014, p. 45. 1 2 3 Drea 2009, p. 79. ↑ Drea 2009, p. 80. ↑ Olender 2014, p. 56. ↑ Drea 2009, pp. 82–83. 1 2 3 4 Drea 2009, p. 83. 1 2 Drea 2009, p. 97. 1 2 3 4 5 6 7 8 9 10 11 Drea 2009, p. 98. 1 2 3 Drea 2009, p. 99. ↑ Harries & Harries 1994, p. 109. ↑ Harries & Harries 1994, pp. 110–111. ↑ Humphreys 1996, p. 25. 1 2 Harries & Harries 1994, p. 123. ↑ Harries & Harries 1994, p. 124. ↑ Harries & Harries 1994, p. 193. ↑ Harries & Harries 1994, p. 197. 1 2 3 Jowett 2002, p. 7. ↑ Jowett 2002, pp. 15–16, 21. ↑ Gilmore 1998, p. 150. ↑ Harries & Harries 1994, pp. 475–476. ↑ "Sterling and Peggy Seagrave: Gold Warriors". ↑ Harries & Harries 1994, p. 471. ↑ Harries & Harries 1994, p. 487. ↑ Kristof, Nicholas D. "Shoichi Yokoi, 82, Is Dead; Japan Soldier Hid 27 Years", The New York Times. September 26, 1997. ↑ "Dispositions and deaths". Australia–Japan Research Project. 1964. Retrieved 29 December 2017. Bix, Herbert (2000). Hirohito and the Making of Modern Japan . New York: HarperCollinsPublishers. Wikimedia Commons has media related to Imperial Japanese Army .